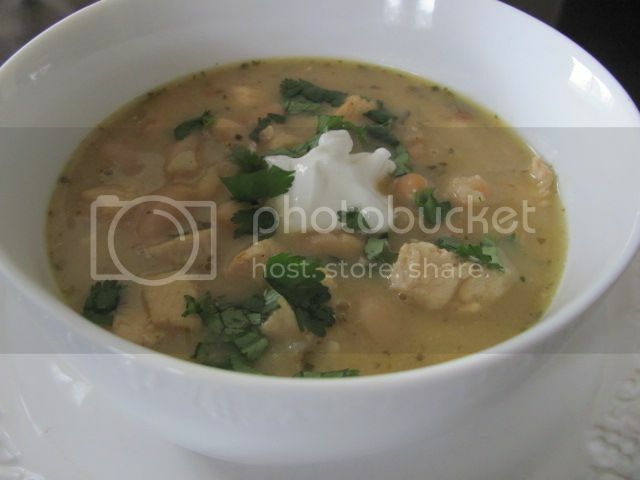 This is Mandi Forester's recipe for White Chicken Chili. She won a contest with it on the Rachael Ray Show. She calls it a "recipe for people who don't like to cook." It's really just a dump, stir, and heat recipe if you use rotisserie chicken. I didn't, but it's still super easy. I used Pace Garlic Lime Verde salsa and garnished with sour cream and cilantro. Last edited by Cooksie; 03-04-2014 at 01:09 PM.